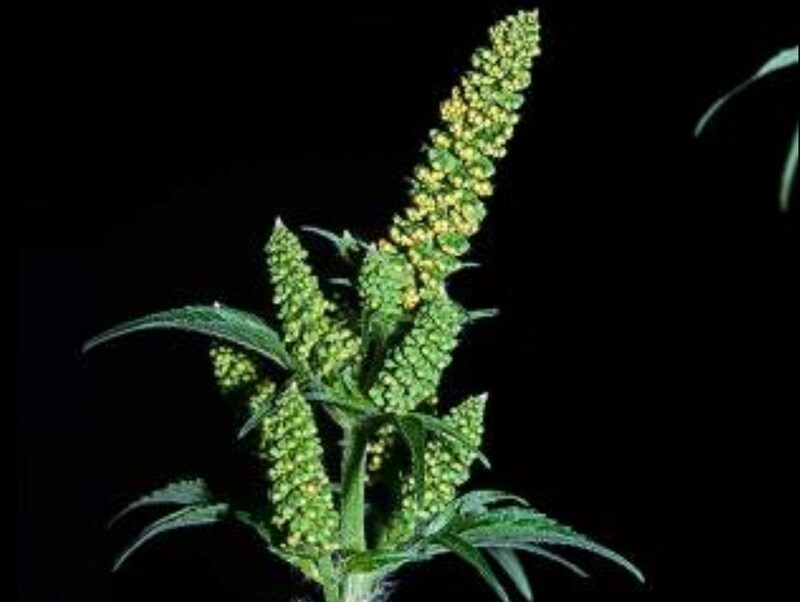 Ambrosia trifida (giant ragweed) is an annual herb/ (family Asteraceae) with a long cluster of green-yellow flowers and opposite leaves found in the central western and southwestern areas of California. Giant ragweed has both female and male flower parts. It is native to the central and eastern United States. It favors grasslands. It spreads via seeds, and easily resprouts after being cut.